Oslo: Malala Yousafzai, the shot Pakistani schoolgirl-turned-icon of Taliban resistance, and ex-Eastern bloc activists are among those known to be nominated for this year's Nobel Peace Prize, as the deadline expired on Friday. This year's award will be announced in early October, but speculation was already underway as the deadline for nominations ran out on February 1. 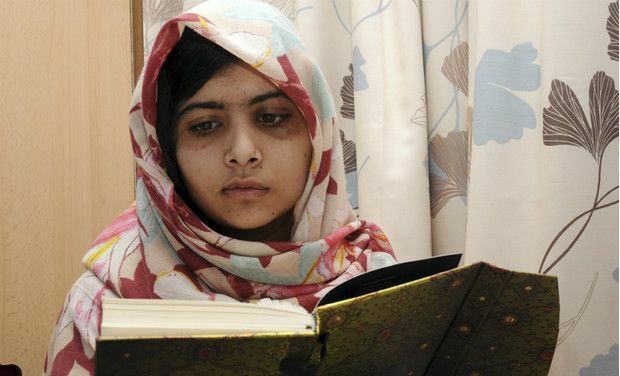 Fifteen-year-old Malala Yousafzai was shot by a Taliban gunman at point blank range as she travelled on a bus to school on October 9, targeted for promoting girls' education. She has since become an internationally recognised symbol of opposition to the Taliban's drive to deny women education, and against religious extremism in a country where women's rights are often flouted. "A prize to Malala would not only be timely and fitting with a line of awards to champions of human rights and democracy, but also ... would set both children and education on the peace and conflict agenda," said the head of the Peace Research Institute of Oslo, Kristian Berg Harpviken. Others known to have been nominated are human rights activists whose names have been mentioned in previous years, including Belarussian human rights activist Ales Belyatski -- currently behind bars -- and Russia's Lyudmila Alexeyeva. As a result, it is known that French, Canadian and Norwegian MPs have all separately nominated Malala. Beliatsky's and Alexeyeva's names have meanwhile been put forward by two Norwegian lawmakers.